Power Jack Repair provides a power jack repair service for a flat rate fee of $100 that includes labor, parts and return shipping. All work is done within 24 hours after receiving your laptop. We guarantee the quality of our work with a 30 day money back guarantee. You can either mail your laptop in or if you are in the Chicago land area feel free to stop by and your DC power jack repair won’t take more than 2 hours. 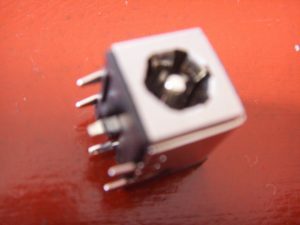 Laptop AC DC Power jack is also known as a notebook dc connector, socket, input, charging port, receptacle, pin, inlet, a piece inside of the laptop where you plug in your ac power adapter into. We basically need 1) laptop 2) Ac adapter 3) payment 4) return address. Chicago land clients please note we have a second location conveniently located 25 minutes away from downtown of Chicago at 710 mill circle #107 wheeling, il 60090. Your laptop should be fixed within 2 hours after you would bring it in. Call us a couple hours before you would be able to stop by. With any questions regarding power jack repair feel free to call at any reasonable (Central time) 7 days a week (847) 529 9441 or email: question@power-jack-repair.com Please read the frequently asked questions below before calling or emailing. We handle more DC power jack replacements than anybody else in the world. Rather than fixing your old DC power jack, we replace your DC power jack with a new one. We give you a 30 day money back guarantee if you break your power jack again we will refund the money. If we won’t fix your DC power jack, nobody else will. We have a “no fix – no charge policy”. If your laptop still isn’t working after the DC jack has been replaced we won’t charge you any sort of diagnostic fee, bench fee, or any other miscellaneous fees for the job we did. If your power plug (tip portion of your cord) on the AC adapter / brick seems to be faulty we will replace the power plug at no extra charge. We are the first company to work only on Power Jack Repairs in Chicago as well as in the U.S. That makes us the oldest, most experienced, the most stocked on power jacks, company in the U.S.
You can read 5 star reviews about us on Facebook, Google and Yelp. Are there any extra charges? There are no extra hidden fees or charges. If we don’t fix it you don’t pay anything. How do we submit a payment? We prefer if you would enclose a check made out to Applicasoft for $100. If the return address is different from the one on the check please enclose a note that would say so. Alternatively you can pay by credit card through paypal, please print out a receipt and send it along with the laptop, or write down on the box that you already prepaid via google. If you bring you laptop over then the only method of payment would be cash after you would test that your computer is working fine. Guarantee? We provide a 30 day money back guarantee on all DC jacks that we replace. Do you have all parts in stock? We have multiple quantities of more than 500 different types of DC jacks in stock at all times. Within the last year of operation there wasn’t a single case where we would not have a jack for any of the laptops that we have serviced. The rule is simple, if we don’t have a jack for your laptop, nobody else has it either. How long does it take to replace a DC power jack on my system? Average DC jack replacement job lasts about 1-2 hours. All work is done the same day since we have all of the dc jacks in stock. Do you repair or do you replace the power jack? We only replace power jacks, it is a more time consuming process than simply repairing a DC power jack but in a long run we don’t have to deal with any guarantee work. I live in Chicago land can I drop off my laptop? Yes you can drop off your laptop at the Wheeling address 6 days a week, for maps look into contact us page. Generally you would be able to pick up your system within 2 hours..
Do you need my hard drive? We don’t need your hard drive. Feel free to remove the hard drive and keep it at home. Do I need to send an AC adapter? Yes, to test out your system we would prefer to have your AC DC power adapter, however if you are missing an AC DC adapter we still can work on it and test out your computer using our adapters. If your power plug adapter is broken, we will attempt to fix it at no extra charge. What is the best way to pack a laptop for shipment? Put an inch or two of a bubble wrap around it, put it in the box, put an AC DC adapter near by, write out a check made out to Applicasoft (or you would be able to pay for it later by credit card through google checkout or Paypal). As soon as we get it we will work on it and send it back to you the same day, if we also need to replace a plug on your AC adapter.